Are you addressed as a guru in I.T, you feel you have what it takes to compete among the growing number tech savvy guys? Then dont miss out on this Hackathon registration. In case you are wondering what a Hackathon is, It is an event, typically lasting several days, in which a large number of people meet to engage in collaborative computer programming in other words brainstorm on trends in the computer age. CyberXchange Hackathon registration is to end in some days and did you know that amongst their sponsors is Facebook. The pre-qualifier registration for the hackathon closes August 30, 2016. The competition which is sponsored by Facebook, will bring undergraduates and early IT professionals together for a session of hacking, learning and fun. The hackathon is aimed at developing the capacity of I.T professionals and to be part of this, All you have to do is come with your ideas and creativity. You will be contacted once you qualify for the finale on September 24, 2016. 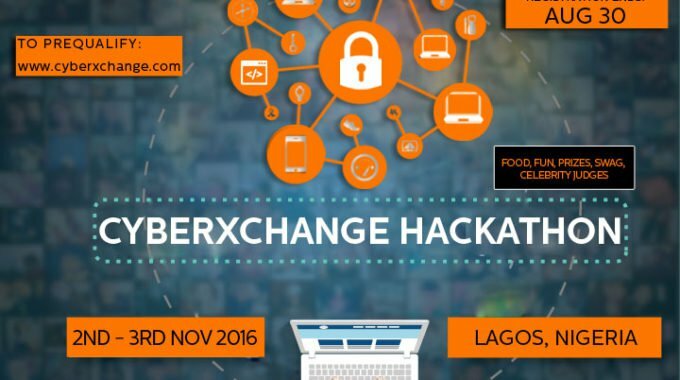 The Facebook Hackathon competition is slated to hold at the Landmark event Center on the 2nd and 3rd of November 2016 as part of activities lined up for the CyberXchange Conference.